Here’s how you can screenshot Instagram Stories without sending a notification to the other user on iPhone or Android. 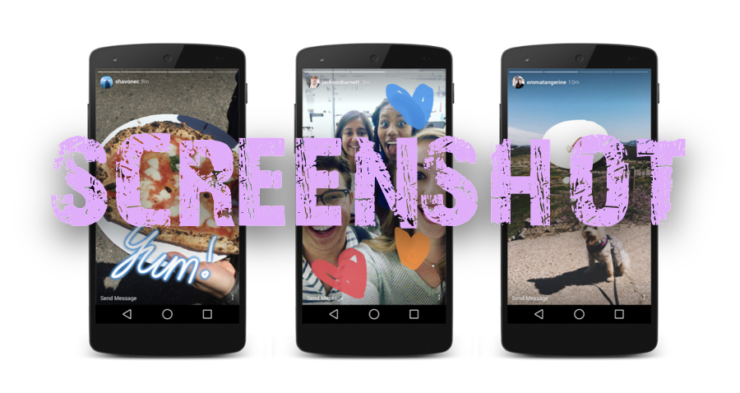 Much like Snapchat, Instagram is taking a route where it will start informing users whether or not their story has been screenshot-ted by you. At the time of writing, the feature is not live just yet. But it appears as though it will be soon. So, before that happens, it’s best to learn how to avoid the situation altogether by using techniques that ensure that you stay stealthy and take that screenshot which you so badly need. Note: Usually people post really private stuff on a story therefore it’s inappropriate to take the screenshot route without their consent. We are posting this guide for educational purposes only, nothing more. Do not abuse this in any way that it ends up harming someone. You’ve been warned. This is an extremely simple method of taking a screenshot from Instagram Stories. Just bring up the story you wish to screenshot, then put your device in airplane mode, take the screenshot and close the Instagram app from the app switcher. That’s it, no one will even know you were there and the screenshot lives in your gallery. But at the same time, there is a possibility that Instagram will slaughter this workaround soon much like how Snapchat did. So do not rely on it in the long run. Open instagram.com, sign in with your account, and you will be able to check out Stories from here. The best part? Screenshot as much as you want and no one will know. For now, at least. Quite honestly, a lot of people prefer Instagram over Snapchat for its flexibility. But with the addition of this new warning, it’s likely that users will find it a bit disgruntling. At the same time, this ‘feature’ will prove to be very welcoming to those who post private stuff on the social network.